Fun Featherweight embroidery and quilting pattern by Shelly Burge. 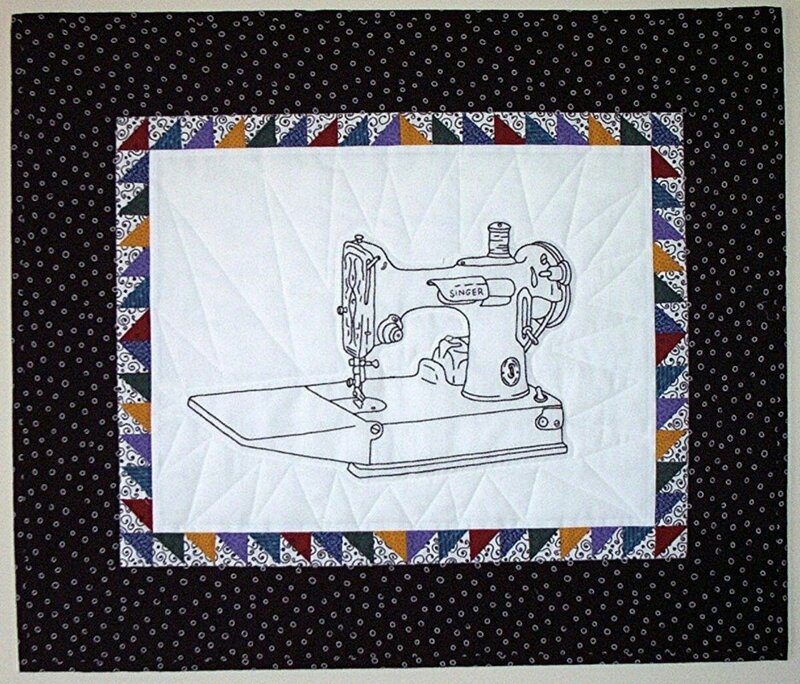 The overall small quilted wall hanging size is 24 1/2" x 20 1/2". The hand embroidery center measures 16" x 12".